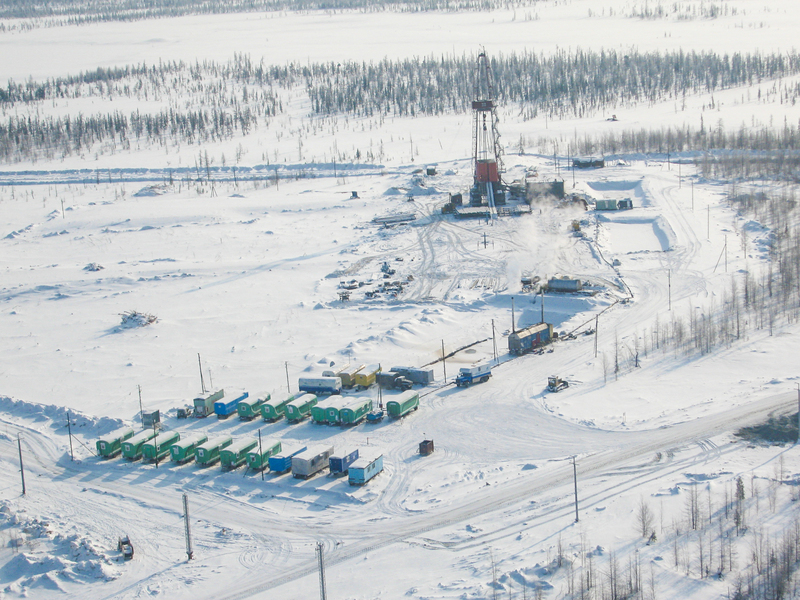 OJSC Severneftegazprom is the owner of the license SLH No.11049 NE for the right of geological exploration, including the search and evaluation of mineral deposits, exploration and production of mineral resources within Yuzhno-Russkoye subsoil section. On the territory of the site there are three fields: Yuzhno-Russkoye - put into development in 2007, Yarovoye and partly Zapadno-Chaselskoye, listed on the state balance as being explored. oil and gas condensate in category AB1 (C1) + B2 (C2) - 51.25 million tons. Low permeability of collectors. High vertical heterogeneity. The deposit area is more than 1000 km2. Abnormally high reservoir pressure. Low reservoir temperature. The deposit is distinguished by a large effective thickness and sharp horizontal and vertical heterogeneity. Small-sized, low-amplitude gas, gas condensate and oil deposits, widely distributed over the area and section. Hard-to-recover oil reserves are concentrated in thin undergas gas rims. Gas condensate and oil deposits with a small effective thickness are concentrated mainly at the Yarovoye field. Increasing the efficiency of exploration and the use of state-of-the-art technologies provide the Company with an increase in reserves, creating the potential for long-term progressive development and achieving high production and financial indicators. implementation of measures to protect the environment and eliminate adverse conditions of wells construction. The purpose is to bring to a safe condition the wellheads and borehole areas of previously liquidated exploration wells of the old wellstock located on the territory of the Yuzhno-Russkoye license area and listed in the balance of the Interregional Territorial Department of the Federal Property Management Agency.